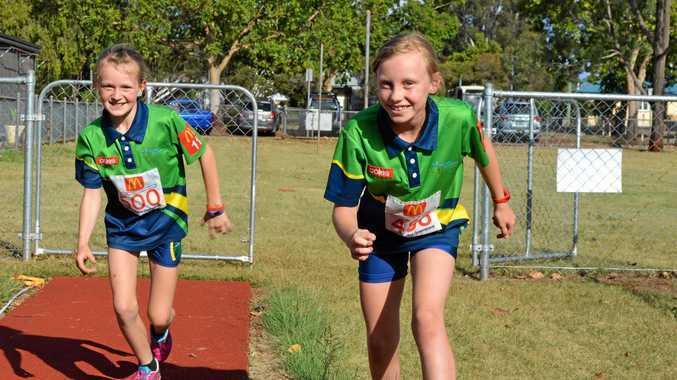 LITTLE ATHLETICS: South Burnett will be proudly represented on the athletics track in Brisbane on Saturday, with nine athletes to represent South Burnett Little Athletics Centre at the state relay championships. Georgia Kapernick and Jenali Bolden will join forces to take on their competition in under-11 discus and long jump. The pair are looking forward to the challenge after qualifying at the regional relays last month. "It's very different to competing by yourself because when you jump the two highest get put together and that goes on the results but when you jump by yourself it is a lot harder to get up to the higher marks,” Jenali said. 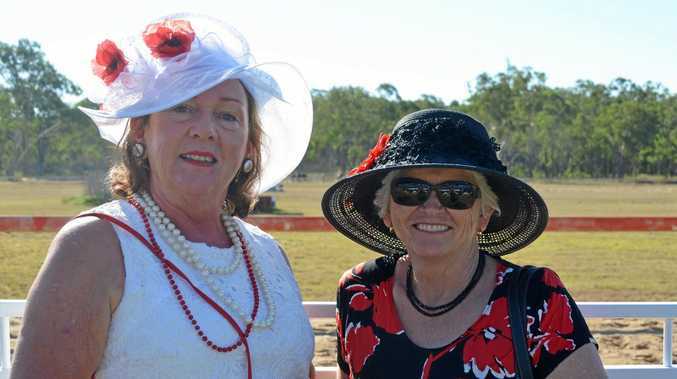 "It is a time to have fun and to try your best,” Georgia said. The girls are looking forward to competing in the throwing and jumping events. "I like discus because you are building your muscles up and as you go on you get further, you get better and better,” Georgia said. Fellow South Burnett athletes Patterson Braithwaite and Evan Freeman will compete at the championships in under-nine discus. Darcy Brady will take on under-14 shot put, Jonah Farmilo will line up in under-14 high jump and Josh Freeman will compete in under-14 high jump and shot put. Erica Watson will compete in under-15 high jump alongside Abbey Kapernick, who will also be on track for the under-15 100m relay and swedish relay. South Burnett Little Athletics is excited to see so many of their athletes compete at the state level. "We are very proud of their achievements and look forward to seeing them experience the next level of competition,” the centre's Kaylene Kapernick said. In 2019 athletes will be getting competition-ready with the help of a $3804 grant from Coles to secure the club a three-piece set of scissor high jump mats, high jump stands and collapsible hurdles to comply with the new competition standards. "The depth of the foam has to be higher and the ones we have are showing signs of age,” Kapernick said.